Kale & Feta Pie – Real Talk Live! In my attempt to recreate something similar to the Greek spanakopita, I came up with this lovely pie. How to make it: In a large pan or wok, sauté the kale for a couple of minutes with the garlic clove. Remove the clove and then mix the sautéed kale with the rest of the ingredients except for the parmigiano. Place in a small non-stick baking pan, then sprinkle with parmigiano and bake for 10 minutes at a 350-degrees Fahrenheit. 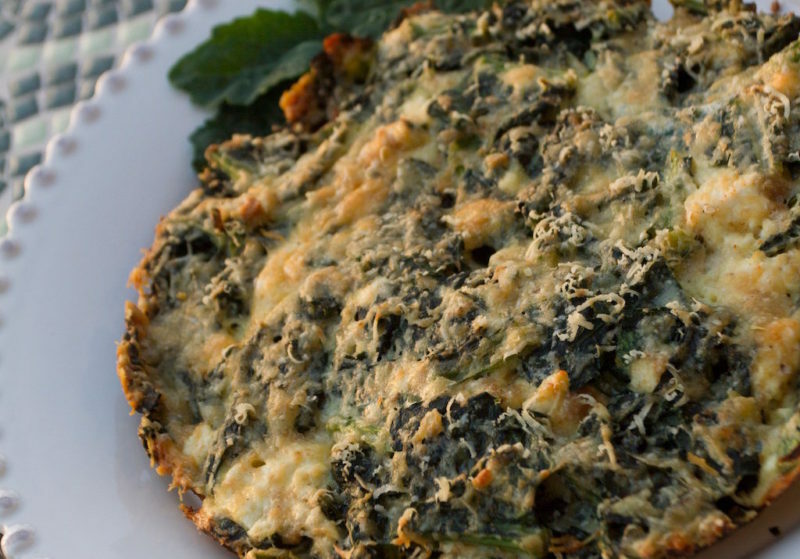 Tip: You can also do this dish with spinach, or even better with spinach and kale.